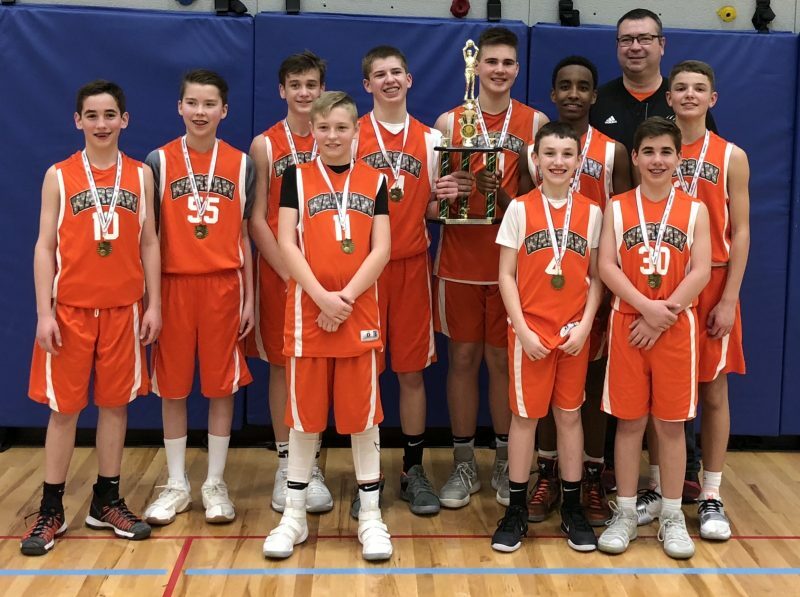 SYRACUSE – It was championship time for a Warsaw 7th grade boys basketball team Saturday. The squad went 4-0 to claim the title of the Wawasee Hoopfest. The championship team defeated West Noble, Manchester and Tippecanoe Valley to advance to the title game. The squad then topped Edwardsburg 48-42 to earn their championship. The championship squad consisted of Theo Katris, Parker Bonifield, Drew Beckman, Alex Cook, Jaxson Gould, Russ Winchester, Will Bergen, Neez Smith, Nick Katris and Jack Murrell. Mark Bonifield coached the championship team.